The AudioMount is a mounting adapter for the S14M and S15M cameras allowing attachment to thin and smooth surfaces (e.g., stainless steel plate, mailbox, etc.) using an adhesive film on the backside of the AudioMount. 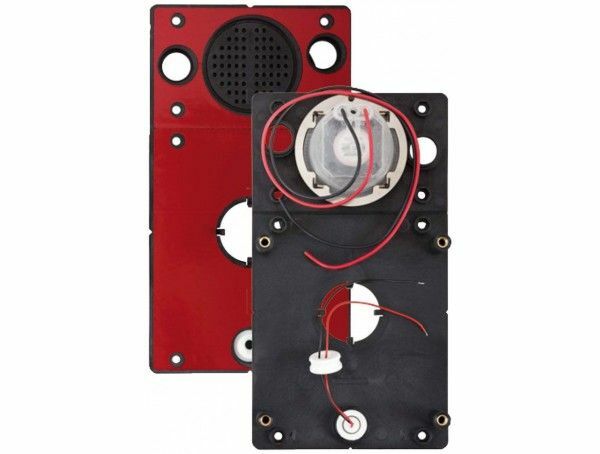 Speaker and microphone are included so that the AudioMount can provide full intercom functionality. Fast, easy and concealed installation using adhesive tape (e.g. behind stainless steel plate) Built-in loudspeaker and microphone, including a connection cable Use camera as a door station by connecting the bell module (firmware 4.1.9 and higher) Suitable for FlexMount mono cameras S14M and S15M AudioMount installation example The stainless plate shown here with drill holes for a loudspeaker, lens and microphone is not available from MOBOTIX and needs to be prepared separately (drilling stencil included with the AudioMount). Using the appropriate MOBOTIX accessories, you can also use the FlexMount camera in conjunction with the AudioMount as a Hemispheric Door Station (door station function with firmware 4.1.9 and higher). A description can be found in the S15 Camera Manual, chapter "Setting up an S15 FlexMount as a Door Station". This description also applies to S14 cameras (with update to firmware 4.1.9 and higher). 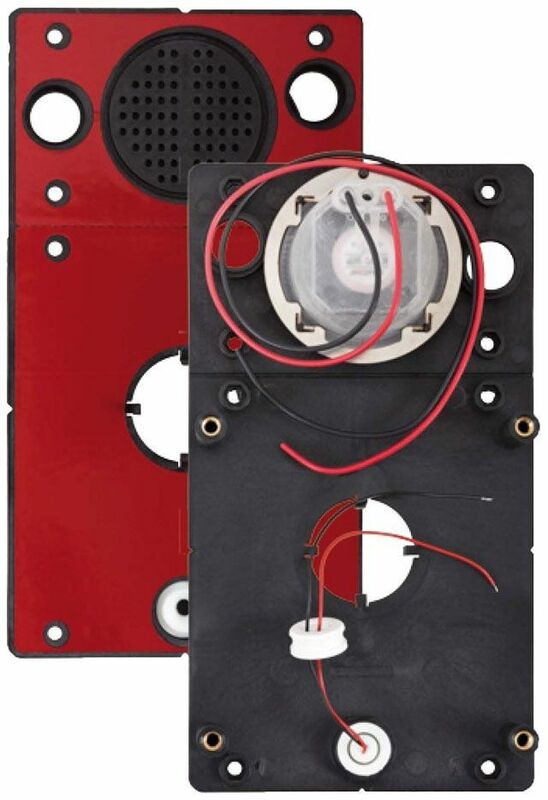 The AudioMount is constructed for sheet metals with a 3 mm thickness. If the material is less than 2,4 mm thick, additional washers have to be put between the mounting pegs and the back of the S15, so that the dome of the camera lens attains its optimal position.